Karen is an acrylic painter residing in San Francisco, CA. In 2016, she graduated from San Francisco State University with a BS in Recreation, Parks, and Tourism Administration and a Certificate in Youth and Human Services Nonprofit Administration. By day, Karen helps the public learn about an amazing array of art and science programs at San Francisco Recreation and Parks' Randall Museum. In her leisure time, she serves on the board of San Francisco's largest community art studio and paints her favorite landscapes. 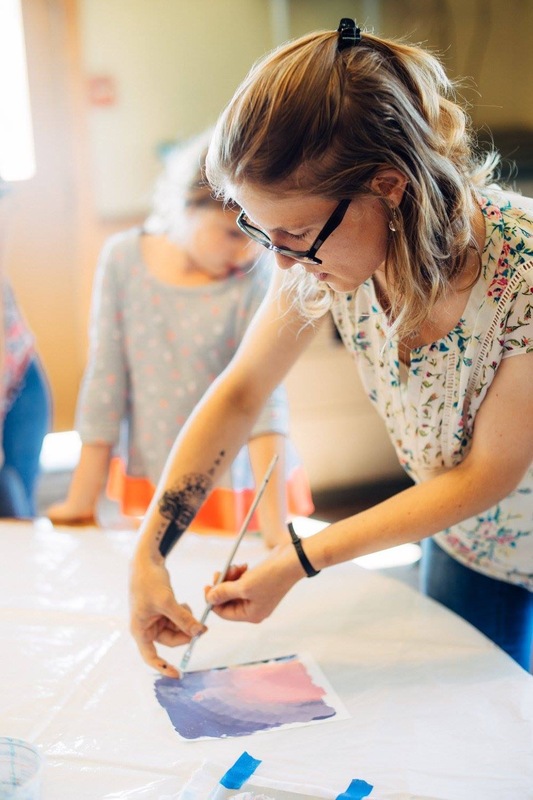 In 2016, Karen began teaching acrylic painting at Montecito Sequoia Lodge's Summer Family Camp; this fall she will also teach adult classes through San Francisco Recreation and Parks. My painting practice is a meditation on the strength, beauty, and balance modeled by Mother Nature and reflected back in those who take time to observe them. My favorite subjects are the places that have left me grounded: California's coastal cliffs and Sierra Nevada redwood forests. Painting in acrylic encourages me to work quickly while working in series facilitates progressively intuitive brushwork. Fascinated by distilling and communicating the creative process, I derive the greatest satisfaction from helping others to discover and explore their own creative abilities. Please feel free to share my work with credit. All art and images are the sole property of Karen Quigley Clark and may not be used or reproduced in any way for profit without permission.